Tires are significant parts of a vehicle. They are the contact interface between the vehicles and the ground. 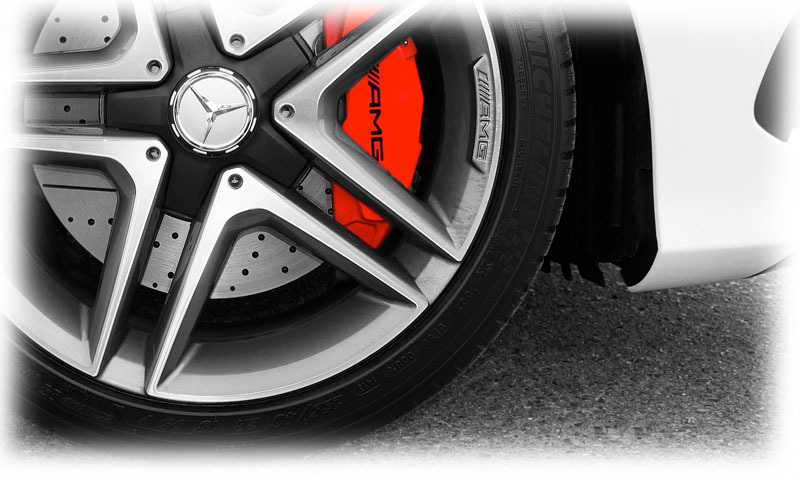 Tires play roles in vehicle performance, stability, safety, appearance, most importantly, in braking. The cost of tire replacement can be quite significant, in particular when a car owner is planning to upgrade the tires or wheels. But there are ways to keep your tires last longer, which in turn can save us some money. Various cars come with specific set of tires. Car manufacturers make selection of tires for new cars under consideration of many factors. Aside from cost issue, tires that come with a car are selected to match the function the car serves. Vehicles for carrying loads and non-performance use are usually fitted with tires with thicker walls, harder compound which will last well with their usage. Tires for family vans are usually selected for higher load and longer lifetime. These tires are usually different from those fitted on a sedan. Tires wear out with vehicle use. It’s friction that works its way eating the tire tread. Just as any surface that is removed by friction, there are three component that play parts in removal of tire surface. They are force, coefficient of friction, and speed of contact. Let’s say that we are sanding a wood surface using a sanding machine. It is easy to comprehend that for a fast wood removal, we’d put more pressure, use coarse sanding paper, and use higher sanding machine speed. The same applies for car tires. Force (vehicle load), coefficient of friction (tire type and road surface condition), and speed (vehicle speed) can accelerate tire wear. While we cannot control every factor, there are things we can do to keep tire life longer. While we cannot control road surface, we can do something on force, coefficient of friction, and speed. 1. Choose the right tire for the car when it’s time for replacement. The easiest way to do this is to keep a note of the tires that come with the car when the car was new. While car manufacturers might have installed tires which were cost-saving for them, similar types of tires are available in the market usually for similar, or even lower prices. Hold the temptation to use high performance, expensive tires on vehicles designed to carry loads or which are used on bad surface roads. 2. Check the tires for uneven wear and keep the wheels aligned. Tire replacement due to surface wear may occur when any section of the tire has least thickness. Inappropriately aligned wheels can cause the tires to wear out unevenly. The tires may already wear out on side with the other side still as good as new. As addition to poor handling and steering, this dictates tire replacement within a much shorter usage time compared to evenly worn tires. 3. Inflate the tires properly. Properly inflated tires will help maintain an even contact with the ground, and will result in even wear. The recommended tire pressure can usually be found on door jambs or somewhere near the driver side on a car. Beware though that good tire contact with the ground depends on load. Some cars require different tire pressures for different loads. So always adjust the tire pressure according to load. Even better, inflate the tire to see whether it has good contact after the car is loaded. 4. Rotate the tires regularly. 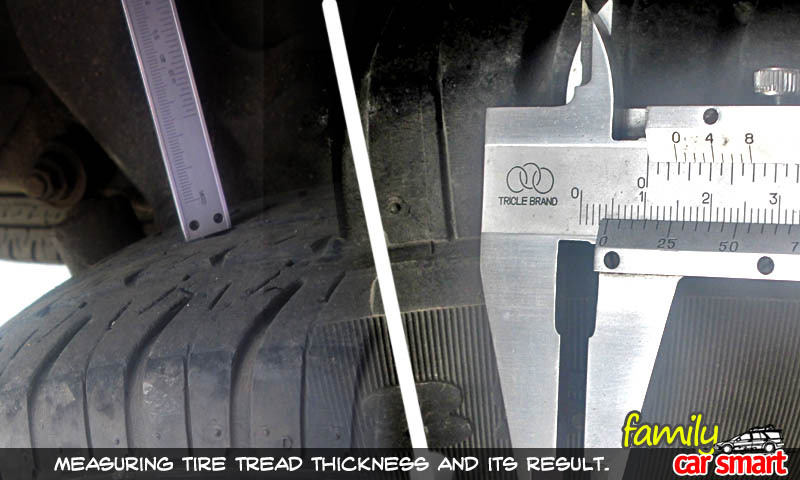 This is one of the most common advice in tires. This is to even out tire wear between them. On cars with full size spare tire, include the spare tire in the rotation. This will help prolong tire replacement period. Furthermore, when it’s time for replacement, we wouldn’t be left with a wasted tire that is has normal size, but is already too old which should have been used. The above guidance may not apply to all cars. Rotating tires must always follow to the car instruction manuals. Some cars come with space saving spare tire, some have directional tire patterns. Some tires have different patterns for specific inner and outer sides of the vehicle. 5. Check tire pressure regularly, don’t forget the spare. Tires lose pressure with time. It might be from very small leaks somewhere (very small punctures, leaks on tire valves, on beads) which bleed air undetected to the naked eye (or ears). Regular tire pressure inspection will help getting good performance from a tire and giving us a good illustration on which tire tends to behave (where one or more tires lose pressure more than others). 6. Slow down on bends or rough or bad road surface. Putting extra load (both lateral and normal loads) increase wear significantly. Slowing down on a bend reduces the load and speed components that accelerate wear. It is also a good idea to keep a tire pressure gauge such as the TEKTON 5941 Digital Tire Gauge and a portable compressor such as the Viair 00073 70P Heavy Duty Portable Compressor at home or in the car. These are cheap and very useful equipment to have. A compressor combined with a jump starter like the Stanley JC509 1000 Peak Amp Jump Starter with Compressor might also be useful. I hope this article can be useful for all of us. If you have any comment or suggestion, just leave it in the box below.